Kathryn Black originally joined the firm in 1993 as a legal intern while she attended University of Tulsa College of Law. Upon graduation from law school, in 1995, she stayed on at the firm as an attorney. She practiced at the firm until approximately 1999 when she moved to Colorado. 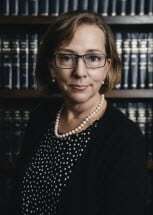 When she returned to Tulsa she taught at the College of Law where she co-created a course in advanced topics in criminal law, presented her research at Oxford University and taught the course in England via Stetson University. During that time she also authored several law review articles and a text book. In January of 2014 she returned to the firm and currently practices in the area of workers’ compensation.